Despite any accoutrements that have accompanied her seemingly overnight success, Christina Perri is at heart a resourceful songwriter, musician, and vocalist with a deep, long-held commitment to her craft. While at work on her full-length debut (due in Spring 2011), the 24-year-old Philadelphia native has released a preview of sorts with the five-song EP, The Ocean Way Sessions. Underscoring influences of melodic pop and rootsy rock 'n' roll, the organic, live-in-the-studio set includes the track, “Bang Bang Bang,” as well as a solo-piano version of “Jar of Hearts,” the song that catapulted her to stardom after it was featured earlier this year on the U.S. television series, So You Think You Can Dance. “Jar of Hearts” not only resonated with listeners, having sold over 400,000 copies to date, but also with the music industry's major labels, which inundated her with offers to sign a record deal. The gambit has so far payed off in spades, as The Ocean Way Sessions debuted at Number One on the iTunes Pop Charts and currently tops the Billboard New Artist Chart. In addition, VH-1 has recognized Perri as one of its “You Oughta Know” artists, a distinction bestowed in recent years to such artists as Corinne Bailey Rae, KT Tunstall, and Regina Spektor while on the cusp of their respective careers. Where did your appreciation for songwriting come from? You've clearly got a good foundation and an ethic toward the craft. I started writing songs when I was sixteen, but I think a lot of it has to do with what I was listening to growing up. My mom was very much into, like, Elton John and James Taylor, two amazing songwriters and performers. My dad was from Italy, and he would just listen to Dean Martin and Frank Sinatra. So I really had this cool foundation. Then I got insanely into the Beatles — I want to be a Beatles historian when I have gray hair; I’m a Beatles nerd — and to study them also as songwriters. So I definitely was off to a good start, I think, with my subconscious. When I started writing songs I emulated my favorites, so they were just simple little pop songs about love. From then it’s just grown. I haven’t stopped. Are you still learning about the way you write, discovering new things you’re able to do or new insights you’re able to create? Constantly. That’s one of my favorite parts about this whole process. I’m a very open person anyway, so I love learning all different things. I also love trying different things. Everybody has their own ideas and opinions. I’m always up for trying new stuff. I don’t necessarily like everything, but I’ll definitely try it, as far as sounds go or whatnot. I’m also learning stuff about me. I’m playing electric guitar now on one of my songs and I’m so stoked. I’ve never played electric guitar live. So I’m really green when it comes to experiences and firsts. I’m having all of my firsts right now. How are you enjoying performing live? I can’t believe I never did it before. I don’t know why I always had this kind of hang-up...mainly because I was a little frightened, but also I wasn’t sure where I was really headed. Now the fact that I’m playing shows, I feel like I’m supposed to do this forever. I just love it. I love performing. I love connecting with the audience. I love hanging out with people after the show, talking with them and hearing all their stories about how they connect to my music. It just feels so right; all of this feels perfectly timed and right. Has your approach to songwriting changed at all since you signed with Atlantic? A little bit, because prior to me getting signed I would sit in my pajamas in my bedroom and just kind of write songs whenever I wanted to, whenever I felt the urge to.... I’m not the only person with an opinion anymore. There’s a little more pressure, and definitely more listeners. So the process has changed a little bit, not completely because otherwise it wouldn’t be authentic to who I am. How do you maintain that authenticity, going forward as a young artist, against other people’s wishes and expectations? It’s really intense. I have to be completely sharp and I have to be right up on every decision that’s being made, because I am in major-label land and I am in VH-1 land, but I’m also kind of like an indie songwriter. And I’m kind of bridging the both of them, but the way I’m doing it is just [by] listening to my gut. It’s funny, because I have the leverage to do that, since I’ve been following my gut from day one, [to] do certain things like “Jar of Hearts” and the EP [which] just did really well. And that was all my gut instinct and my ideas. For me, it’s not missing one thing. I’m definitely counseled in the decision-making for everything. If I’m nauseous — literally that’s how loud my gut is — if something doesn’t feel right, I get totally nauseous and I can’t sleep. I’m like, “Oh, my God, that’s just the wrong move.” Fortunately I have this label that, as designed as they are to pump out hits and be a business, they’re emotionally connected with me. I get to be honest with them and say, “Listen, I really don’t feel that that’s the way we should go. I don’t feel that that T-shirt design is very cool.” That’s the kind of stuff we go back and forth on, and in the end I’m happy with all the results so far. And that’s how it should be. It’s not getting lost. It’s not letting other people make decisions for me, and just doing what I do. 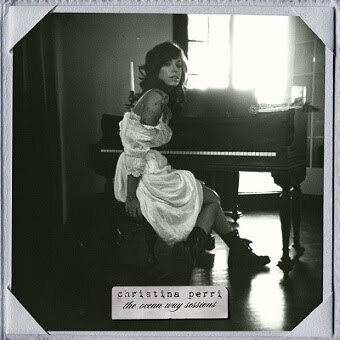 For more information on Christina Perri, please visit the artist’s official website.